ACT is the subject association and membership organisation for all those involved in Citizenship education. We are the national voice for Citizenship and our mission is to support high quality Citizenship teaching in every school and college. We provide: professional development; a journal; networking opportunities; the ACT Quality Standard Awards for schools, colleges and FE and the ACT Quality Mark for Citizenship Teaching Resources, our stamp of approval that a teaching resource is of high quality and educational value. The ASE is the UK’s largest subject association, dedicated to everyone involved in science education, our members are passionate teachers and technicians. We provide an independent voice for the science education community while delivering dedicated support for our members. The ASE’s journals offer insights from experts, classroom tips, suggested resources and effective practices. We also award members with formal recognition of their skills and expertise. Our Field Officers organise local “TeachMeets” where people share classroom ideas, “Regional Conferences” which offer professional development (CPD) and our Annual Conference brings together over 2000 science education professionals to share best practice and learning. The School Library Association is committed to supporting all involved with school libraries, promoting high quality reading and learning opportunities. SLA offers: advice and information; training; publications; branches (UK and Éire Network offering local support, courses & events); advocacy; a significant voice; online resources and discounts. First News is the UK’s best-selling publication for children covering UK and world news, politics, sport, science, entertainment, animal stories and more. The range of articles means there is something each week to inspire all children. Over half our school subscribers also take one of our weekly reading activity packages, which research by the National Literacy Trust found help to “significantly improve reading comprehension” (see here for the full report). Schools can also subscribe to our new digital literacy platform, the iHub – updated weekly with topical debates, polls, word puzzles and writing challenges. Topmarks is an educational website used by children, teaching professionals and parents. It provides children with the opportunity to learn through engaging games and activities as we only feature trustworthy, reliable educational content. The Topmarks Team also produces free, tablet friendly learning games aligned with UK curriculum requirements. Topmarks saves teachers time as we as we focus on the best, free learning resources on the web. Primary Treasure Chest is a very popular teaching resource website, with motivating educational resources. It has 1000s of time-saving high quality teaching resources, such as creative educational posters, worksheets, flashcards, role play printables and so much more! Many of the resources contain a double mounted effect, which means you can simply print and display the resources straight away, without having to go through the tiresome process of double mounting. Scoilnet is the Department of Education and Skills (DES) official portal for Irish education. Launched in 1998, the website is managed by PDST Technology in Education on behalf of the DES. The website has been developed as a support for teachers at both primary and post-primary levels and provides teachers with the option to share and upload their own resources. Any teacher registered with the Teaching Council can register for a Scoilnet account. The account also provides the user with access to content and services such as Scoilnet Maps, CensusAtSchool, Teachercpd,.ie and Scoilnet Webhosting. One log-in, many services. Eco-Schools is a global programme engaging 19.5 million children and nearly 1.5 million teachers across 67 countries- making it the largest educational programme on the planet. 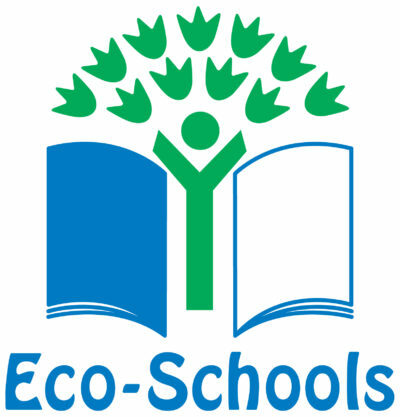 Since 1994 Eco-Schools England has been empowering students to drive change and improve their environmental awareness through the same simple Seven Step process, that has been used successfully across the world. Their student-led programme; involves hands-on, real-world learning, motivating the whole school and the wider community to take part in exciting environmental projects based on our nine Eco-Schools topics. Register today to join the 52,000 Eco-Schools across the globe working together to create a happier and healthier future. The Association for Physical Education (afPE) is a registered charity and is the only PE Subject Association in the UK. afPE is committed to being the representative agency of choice for people and organisations delivering or supporting the delivery of physical education, school sport and physical activity in educational contexts and in the wider community. They provide quality assured services and resources, and valuable professional support for our members and the physical education, school sport and physical activity sector.